The European Commission's Directorate-General Joint Research Centre (JRC), in cooperation with the European Political Strategy Centre (EPSC) of the European Commission cordially invite you to the Annual Conference Building a Resilient Europe in a Globalised World. in cooperation with the European Political Strategy Centre (EPSC) of the European Commission cordially invite you to the Annual Conference Building a Resilient Europe in a Globalised World. The European Commission's Directorate-General Joint Research Centre (JRC), in cooperation with the European Political Strategy Centre (EPSC) of the European Commission, is organising its annual conference on "Resilience". Resilience determines capacity to successfully confront societal challenges and to adapt and overcome adversity. In an evolving global environment, resilience creates stability, which in turn promotes job creation, economic growth and environmental sustainability. The conference will kick off discussion between experts, representatives from European Institutions and Member States, stakeholders from industry as well as academia on the continuous process of building a resilient, stable, competitive and prosperous Europe. During the conference, DG JRC's Resilience Report will be launched as well as a Knowledge Centre for Disaster Risk Management. The final conference of the SafeLife-X peoject will take place in Brussels on June 24-25, 2015. The SafeLife-X Final Conference is an excellent opportunity for project partners to communicate their results to the “outside world” and an opportunity for interested professionals, not participating in the project, to learn about the project and its results. The Conference will be focused on the Strategic Research Agenda and its implementation strategy, as well as on the sustainable structure for the group. In addition to this, selected presentations from key project and outside partners covering topics related to the technologies and methodologies of aging management and business cases will be given. Please, note that the relevance of your contribution to the topics of the conference (management of aged infrastructures networks and industrial plants) will be decisive for the peer-review based acceptance of your paper/presentation. Modern society depends more and more on the effective and reliable operations of infrastructure systems (infrastructures), such as those delivering energy, water, sanitation, shelter, information, emergency response and other critical services. These, on the other side, need to be assessed on their resilience in case of large and/or cascading events. Whilst most people fully agree about the importance of resilience, common agreement about the resilience assessment approaches, methods and tools is still an issue. Information to be provided soon. For possible queries, please, feel free to contact us at SafeLifeExtension@eu-vri.eu. The FEHRL Infrastructure Research Meeting 2015 (FIRM15) will be held on 22nd & 23rd April 2015 in Brussels. The FEHRL Infrastructure Research Meeting 2015 (FIRM15) will be held on 22nd & 23rd April 2015 at the Diamant Centre in Brussels, Belgium. This key event, which will be held in English and cost 150 Euros per person (2 days conference, exhibition entrance and cocktail), will gather some 120 transport infrastructure innovation and research experts, including European and national policy makers, leading industry, standardisation agencies, SME's and the media. With the theme of "Innovative maintenance of Transport Infrastructure. Faster, cheaper, more reliable, safer, greener", FIRM15 will feature multiple information sessions on the following themes. Click here if you are a speaker for guidelines on your presentation. Contact isabelle.lucchini@fehrl.org to send any documents and if you need any more information about the event. The Call for Abstracts for the TRA 2016 Conference is open. All researchers working on Transport can apply. Click here to download the 1st Announcement including the Call for Abstracts details. The deadline of the call is March 30, 2015. The next set of workshops of SafeLife-X will take place in Brussels, on March 19-20, 2015. Please find here more information about the venue (including a list of hotels). Authors wishing to present their work at the SafeLife-X conference are requested to submit an abstract no later than March 18, 2015. Information to be sent soon. The next SafeLife-X workshops will take place on December 2-3, 2014, in Stuttgart (Germany). The event will focus on the Strategic Research Agenda and its roadmap. We would like to invite to the next thematic Workshops of SafeLife-X that will take place in Stuttgart on December 2-3, 2014. Define the scope of the SRA. Validate the Structure of the SRA. Truly reflect and prioritise stakeholders strategic research needs. The work on the business cases in Task 6.1 and the planning for the tasks and deliverables in WP6 will be presented. The work on the modelling of the economy of investments in aging management will be detailed. Please find here more information about the venue (including list of hotels). Don’t hesitate to contact us (SafeLifeExtension@eu-vri.eu) if you have any question. The reports produced by the SafeLife-X consortium during the first year of the project have been published. The ECORBIO project has launched an enquiry in support of a review of identified corrosion issues pertaining to biorefining. You are kindly invited to fill in the form and forward it to wassila.benaissa@ineris.fr and guy.marlair@ineris.fr. The Maintenance Performance Measurement and Management Conference (MPMM 2014) will take place on September 4-5, 2014, in Coimbra (Portugal). Everyone is invited to submit a paper for consideration. All accepted papers will be published in the conference proceedings and the best ones will be selected for publication in special issues of International Journal of Strategic Engineering Asset Management (published by Inderscience) and Journal of Industrial Engineering International (published by Springer). The next thematic Workshops of SafeLife-X will take place in Vienna (Austria) on September 2-4, 2014. The first workshop aims at determining Key Performance Indicators for the multi-criteria analyses which will be used for identifying main topics of the SRA. The second workshop aims at determining cross sectorial most interesting topics for the SRA. Different groups according to sectors will be created and results of the MCAs will be merged to determine average weights for each criteria and the main cross-sectorial topics. The workshop is aimed to provide best practices of aging methodologies and management to answer the needs identified during the first part of the SafeLife-X project. Workgroups will discuss of their practices over 3 different subjects of aging methodologies and management. The objective of this workshop is to discuss the degradation laws and kinetics and the most relevant probabilistic methods. The purpose of this meeting is to launch the standardization activities. It is intended to develop an EN standard for Risk-Based Inspection (RBi) and to start a new CWA on aging that will prepare the ground for the future norms in this field. Please find here more information about the venue. The list of suggested hotels is avaialble here. Please send the registration form to Mr. Carlebur at Arthur.Carlebur@nen.nl. Since we are obliged to have in the RBIF meetings only registered members and, only exceptionally guests, we encourage to the partners who are not yet register in the CEN TC Working Group 12 to kindly register as soon as possible with the National Standard bodies (contact list available here). It would be highly appreciated that Mr. Carlebur is informed about the action once the application is in course. For more information, please contact SafeLifeExtension@eu-vri.eu. 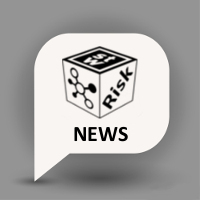 VCE, in collaboration with IRIS and SafeLife-X projects, will organize in September 2014 the Summer Academy "Integrated European Industrial Risk Reduction System". Summer Academy 2014 "Integrated European Industrial Risk Reduction System"
In order to received newsletter about SafeLife-X activities and events, we kindly invite you to register on our platform. SafeLife-X has published an article in the fourth issue of FEHRL Infrastructure Research Magazine (FIRM) focusing on international collaboration and implementation of results. Click here or on the link below to take a look at the fourth issue of the FEHRL Infrastructure Research magazine (FIRM), which is in the process of being printed and will shortly be distributed in hard copy to FEHRL members and key transport infrastructure stakeholders. This fourth issue focuses on international collaboration and implementation of results, as well as the FEHRL highlights of TRA2014. The 2nd thematic workshop from SafeLife-X is organized by INERIS and will take in Paris city center on May 21st, 2014 (from 9:00 to 17:30). (Please note that the number of participants is limited). In EuroMaintenance 2014 Congress more than 100 experts from 30 countries will give their presentations on the latest findings and experience on physical asset management and maintenance. EuroMaintenance Congress offers a massive information package on maintenance with case studies. Top business leaders share their success stories and key speakers from international universities present their educational programs and latest research developments. The Congress is complemented by The 6th World Congress on Maintenance and Asset Management with presentations of physical asset management – currently the hottest topic in maintenance! The SafeLife-X project initiated by ETPIS and reFINE will be presented during this event. The Call for Papers for the 6th International Symposium on Tunnel Safety and Security (ISTSS 2014), to be held in Marseille (France) on March 12-14, 2014, is open. The 6th International Symposium on Tunnel Safety and Security (ISTSS 2014) will take place at World Trade Centre (WTC) in Marseille, France, on March 12-14, 2014. This event will bring together expertise in the field of safety and security for 3 days of presentations and exhibits. The previous symposium in New York in March 2012 was a great success with more than 280 delegates. If you are interested in taking part in ISTSS 2014, you are welcome to submit a manuscript or poster for presentation. Manuscripts and posters will be reviewed on the basis of an extended abstract of not more than two pages. Manuscript abstracts should be submitted to the Secretariat by email (istss@sp.se) by 31st May 2013, poster abstracts by the 30th August 2013. For more information see Call for Papers or visit the Symposium website where you can find Author instructions. Advanced predictive infrastructure performance processes. Enhanced durability and life-time extension. Rapid and non-destructive methods for routine quality and performance checks of materials and construction. Keeping freight routes open through zero-intrusive maintenance. Ensuring infrastructure performance under all weather conditions. Resource and energy efficiency in road construction and maintenance (Eco-design). Virgin material reduction by substitution or recycling. The Infravation 2014 Call focusses on the development of innovative technologies for road operations, either on the European, national, regional or urban networks. For construction and maintenance technology, aspects such as advanced robotics could be developed. The exact details, including the funding scheme for specific stakeholders, will be published in the Infravation 2014 Call Guide for Applicants, which will be available at the launch on 3rd March 2014. More information on the Infravation 2014 Call here. Infravation 2014 Call joint information and brokerage day, 20 March, Brussels. Register by 12th March 2014 for the Infravation 2014 Call joint information and brokerage day being held on 20th March 2014. Participation in the event is free of charge. For logistical reasons, all participants are required to register for the event using the online registration system. In relation with the initiative developed by the EU FP7 project SafeLife-X coordinated by EU-VRi, you are invited to take part in the second round of the survey to provide information to identify the needs related to safe life extension management of aged infrastructures networks and industrial plants, as expressed by the various stakeholders involved in the project, i.e. 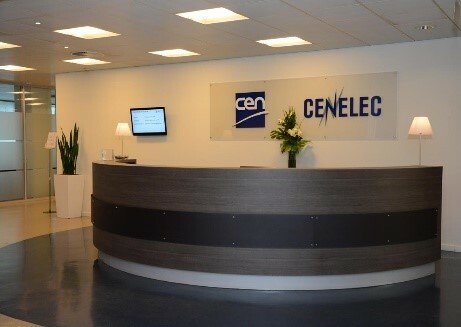 the industry from various sectors (construction, transport, energy, industrial plants, pipeline networks…), from service to industry companies dealing with inspection and certification, from public authorities and from research organizations. We draw your attention on the "Suggestion" columns that are the most important aspect of this survey. We kindly ask you to provide your inputs by February 28, 2014. Don't hesitate to contact us at SafeLifeExtension@eu-vri.eu if you have any question. 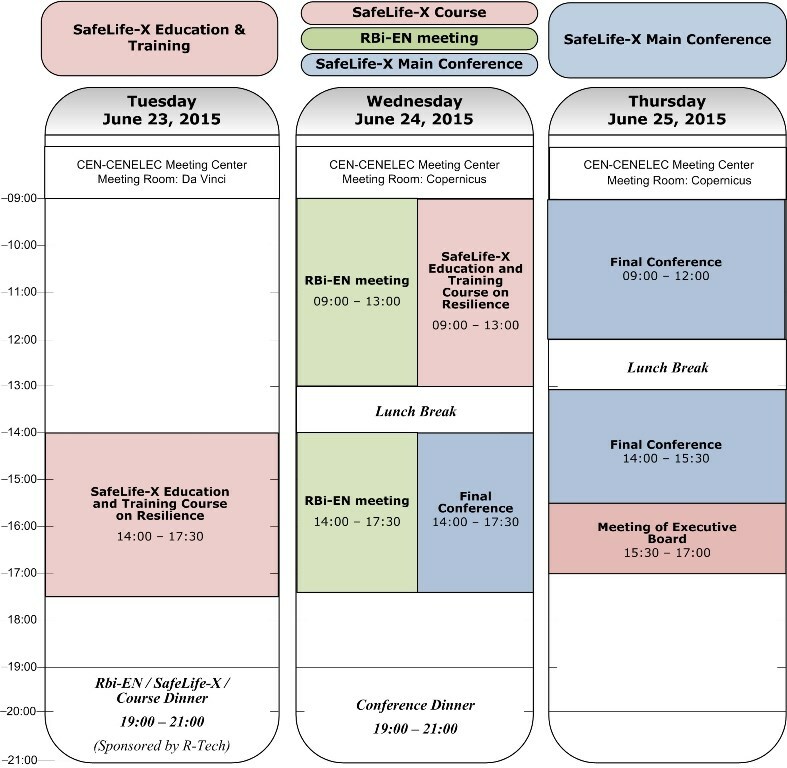 The proceedings of the 1st SafeLife-X thematic workshop are available online. To watch the chaptered video of the workshop, please click here. This 1st thematic workshop aimed at collecting feedback from the experts and to agree on a shared vision on the needs that will structure the other workpackages. For example, the rules and practices are not always clear for recalculating margins or safety factors to deal with uncertainties in loads that aging structures are subjected to . Similarly, significant uncertainties appear in the response to these loads by aging structures, and in the predicted life, when aiming for life extension. For example, the increasing share of unrestricted wind and solar power tends to make the overall electricity supply more fluctuating and increases the fatigue type loading to the rest of the plants in the system, if not fully balanced by e.g. fast responding hydro capacity and spinning reserves. This results in increasing fatigue-related aging in thermal plants, and can also make the previous inspection data and experience (e.g. for RBI) largely redundant. In general, prediction of aging under the action of single damage (and failure) mechanism is better accommodated in the existing methods, guidelines and standards than with combined action of two or more mechanisms, and this can greatly add to the overall uncertainty of the prediction. The challenge is exacerbated by lacking data from real operation/inspections for new processes/structures/materials at the stage of design and also later until such information has been accumulated. For example, challenges appear for NDT in offshore windmills to inspect deep subsea structures covered with biomass crust and no inspection access from inside. More generally, there is a challenge to link inspection and monitoring data to the governing damage and failure mechanisms for critical structures and locations. Improved (health) monitoring methods and sensors are also needed for critical components that operate under severe environments. Infrastructures are aging; the effective remaining loading capacity is unknown and there are not satisfactory methodologies that allow to assess it. The need to investigate in that direction is considered as primary in this sector. Assessing the remaining loading capabilities will also enable an accurate lifetime prediction. Innovative monitoring tools (as early warning monitoring systems, new smart sensing and communication technologies, data collection, processing and aggregation systems) must be developed. Guidelines that, in accordance with the standards, define what are the procedures for assessing the ageing of structures must be defined. The idea is to produce a flow diagram that defines the actions to be taken accordingly to structure performances and deficiencies. Ageing of an infrastructure can cause relevant economic (and not only) consequences. This threat must be addressed in a global scale by formulating a complete risk framework. Due to cuts on funding, the aging problem must be addressed with innovative and low cost solutions capable to extend the lifetime of the aged structures. Since these solutions are new, their performances must be monitored in order to fully define their behaviour. Ageing occurs to any type of structures and requires upgrade of the structure by means of retrofitting techniques. New structures should be designed in a way to efficiently allow retrofitting that at some point will be necessary due to structural ageing. How to get a reliable, usable and minimal set of data ? Important cost for collecting data : can we reduce information and be reliable ? How to integrate multiples damage mechanisms? Avoid double work done by full integration of ageing management in safety management. Who owns risks, profits, benefits, savings… who is motivated? The public report on the identification of the needs on aging of infrastructures and industrial plants will be released soon. CZTPIS and ETPIS organise the conference SASECO2013 in Prague (CZ), on October 24-25, 2013. The conference called FUTURE SAFETY AND SECURITY RESEARCH IN EUROPE is focused on the direction of the safety and security research in Europe and organised by the Czech Technology Platform on Industrial Safety in close cooperation with the European Technology Platform on Industrial Safety will take place in Prague (Czech Republic), on October 24-25, 2013. The aim of the conference is to present and discuss trends, strategies and objectives concerning preparation of HORIZON 2020 in the field of safety and security. The conference is financed from the Safety AGENT project, funded by the European Social Fund through the Operational Programme Education for Competitiveness and the state budget. The programme also includes SAF€RA Brokerage Event and a meeting of National Platforms on Industrial Safety (NTPIS). A conference on "Nuclear Long Term Operations & Ageing Management Europe will take place on September 24-25, 2013, in Brussels. "Nuclear Energy Insider" organizes a conference on "Nuclear Long Term Operations & Ageing Management Europe: Ensure safe long term operation and improved performance by executing definitive ageing management strategies" that will take place on September 24-25, 2013, in Brussels. As the majority of European NPPs approach the end of their original design life and costs for new reactors rise dramatically, investment in the long term operation (LTO) of existing fleets is more essential than ever. With life after 40 costing over €30bn for the French fleet alone (WNA), it is critical to strengthen the European supply chain and share knowledge, best practice and innovation. Further information (agenda, registration...) is available here.